As the playoff race and the final stretch looms, the Washington Capitals are heating up at the right time. They’ve won five straight, and will look to keep the ball rolling against an ailing Devils team that has lost four in a row. The Capitals have been surging on offense lately, with Alex Ovechkin leading the charge. With a victory, the Caps can not only extend their winning streak, but can also maintain their Metropolitan division lead. The puck drops Friday at 7 p.m. on NBC Sports Washington. 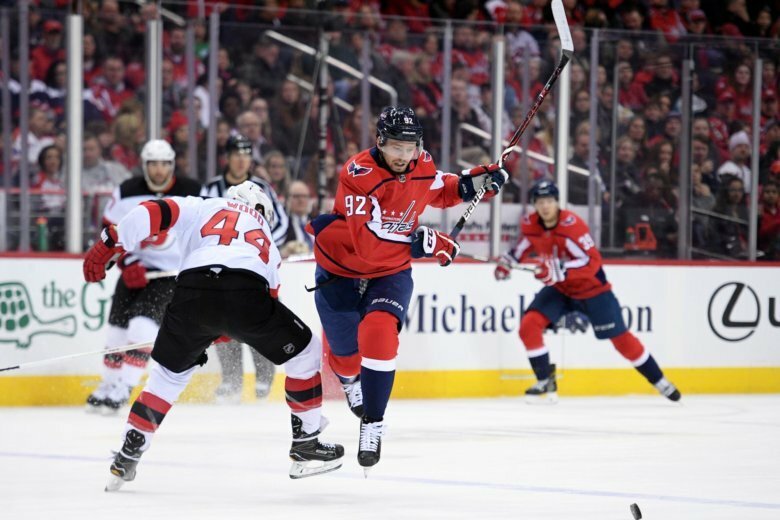 Live Stream: You can live stream Devils at Capitals on NBC Sports Washington’s live stream page and on the NBC Sports App. Burakovsky on the rise: The 24-year-old has points in four of his last five games and goals in two straight. As the Caps make their playoff push, can he keep it up? The Great 8: Ovechkin leads the league with 46 goals and has scored in two of his last three games, and to add to his success, he has six points in five games. Look for the 33-year-old to keep it going against the slumping Devils. Opponents to watch: Cory Schneider kept the Devils in Tuesday’s 2-1 shootout loss to the Blue Jackets, and he will likely get the nod Friday against the Caps. With Washington rolling on offense and key players possibly out for New Jersey, the 32-year-old will have to play a strong game. Jakub Vrana has points in four of his last five games and is tied with Tom Wilson for third on the Caps in goals (19).